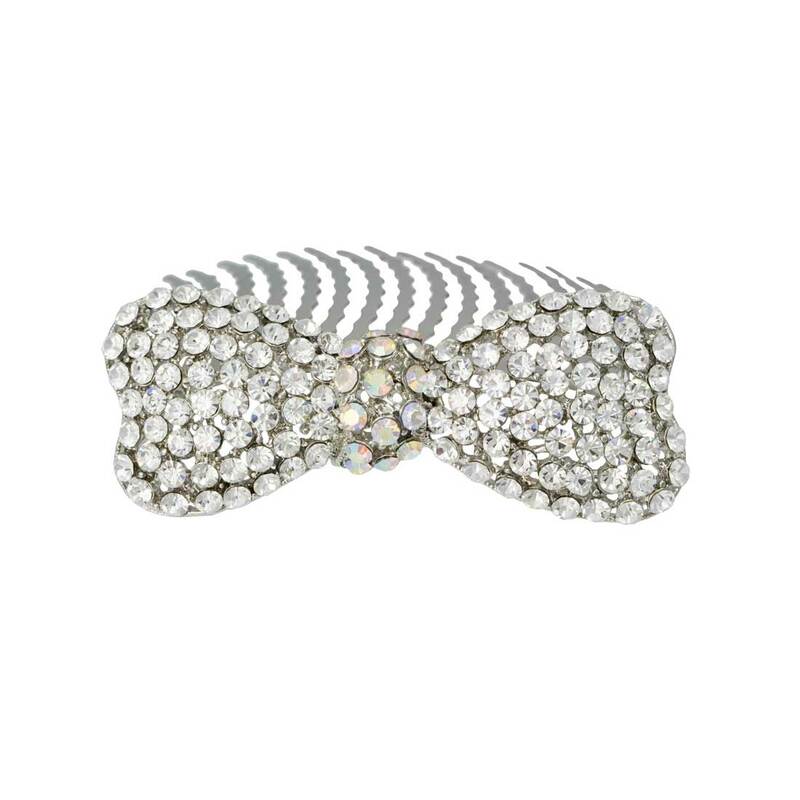 With sassy retro style, this oh so cute sparkling bow hair comb is simply adorable. Utterly chic, this fabulous bow hair comb is literally covered with sparkling clear Austrian crystals with an AB crystal centre. Such a versatile design, this is perfect to wear at the side of the head in loose hair, in a soft chignon or even tiara style. Inspired by vintage hair combs from the 1950's, this divine silver tone hair accessory combines antique influences with contemporary simplicity. For brides and bridesmaids going for sassy retro style, this would be the perfect wedding hair comb. Cute, classy and classic! I love my bow hair comb. I've used it for three different weddings as it matches lots of outfits! !